It’s important to keep your vehicle clean both inside and out. In fact, removing dust, dirt, and grime will help preserve the integrity of your vehicle and make it a more enjoyable ride. 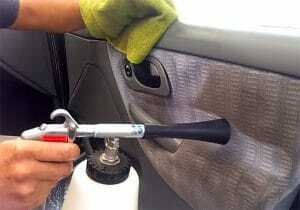 While car washes and details can cost a hefty buck, pneumatic car washing devices offer a high-powered way to clean your car at home. Read along to discover the top four high-pressure car washing tool picks and dig into our compressive buying guide! When you’re traveling off the beaten path, it’s a good idea to bring along a trustworthy off-road GPS system. These durable navigation systems enable you to route your way, return to important waypoints, and find your campsite with ease. Not to mention, they can be a saving grace in sudden emergencies. 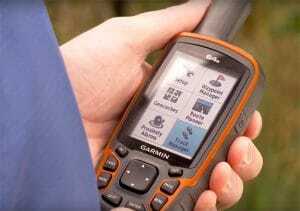 While GPS systems of the past merely provided people with rudimentary navigation tips, modern-day products boast loads of additional features packed into durable all-weather shells. Whether you are looking for a wearable, handheld, or vehicle-mounted off-road GPS, read along to discover. Have you noticed that your property appears a little too dark during the evening hours? It’s a common issue among homeowners to need more light, especially if the porch lights or backyard beams are a little too dim. Or maybe you’re looking for a replacement to what you already possess. Whatever the case, motion sensor lights offer the best in terms of luminosity, motion detection, and outdoor home security. They operate with little need for the user to perform maintenance and can set up in as little as an hour or two. 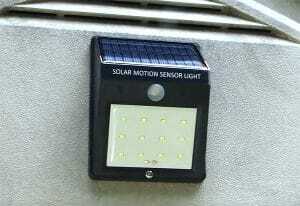 The reviews below detail five of the best motion sensor lights sold online today, with each having good features that make the brand worth considering for purchase. And don’t forget to look at the Buyer’s Section which shows great tips and suggestions for making your shopping for the products listed a little bit easier. As the name implies, sound deadening mats are used to reduce the amount of outside noise that is able to enter the inside of a car. Common vehicular noises include wind and vehicle vibrations. These noises can range from a faint hum to a noisy rattling. For drivers who spend a considerable amount of time in their vehicles, background noise can be a major distraction. Sound deadening mats are also known to improve the quality of a vehicle sound system. By isolating outside sound and creating a sound-canceling barrier, these mats can also improve the quality and range of sound produced inside of a vehicle. On top of that, sound deadening mats insulate against intensive cold and hot temperatures. 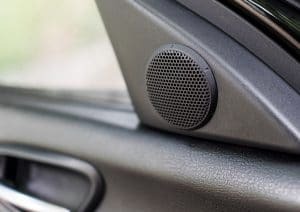 Have you noticed a change in your car’s sound system? Or maybe it seems like something is missing from what you hear? There are many reasons why you may want to change your current speakers. Sometimes, speakers get better with their age. Other times they may become worse, or even blow out and lose the ability to produce any sound at all. This is where tweeter speakers could be helpful. They are small but high in frequency, giving you a rich high that compliments lower and mid-range sounds at an outstanding degree. Some people even use them as standalone speakers. The following are five of the best tweeter speakers that you’ll find either online or in any electronics or radio store. They were selected for specific purposes, but there are some that may serve as a better deal than others. If you’re curious to know, then don’t forget to look at the conclusion (after the Buyer’s Guide) to see which of them earns rank as the top two picks. This is a basic comparison table that shows some of the main features and specifications of each tweeter speaker evaluated further down. It will give you an understanding of what type of speaker they are, and the power they are able to output.